July 31, 2013 Categories Shopping, Video Gamesgaming, geek, loot crate, lootcrate, nerd, subscriptions, video game high school, video gamesLeave a Comment on Loot Crate- July Edition! 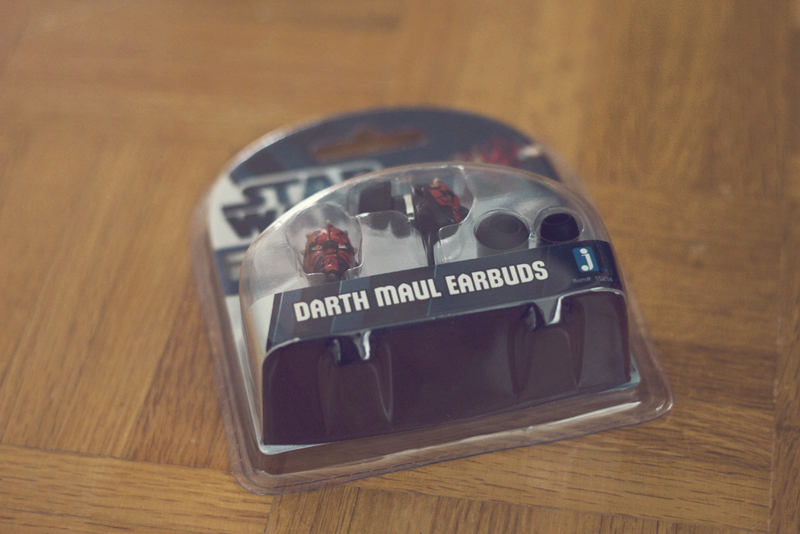 Star Wars headphones from Jazwares came at random. I got Darth Maul but other characters included Darth Vader, Yoda, and C3PO. Let’s be thankful Jar Jar wasn’t an option. 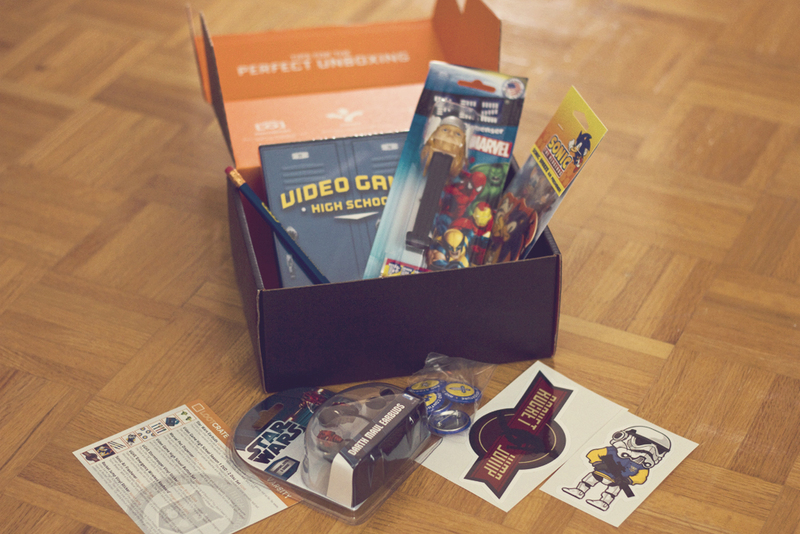 This month’s crate was in partnership with Video Game Highschool. 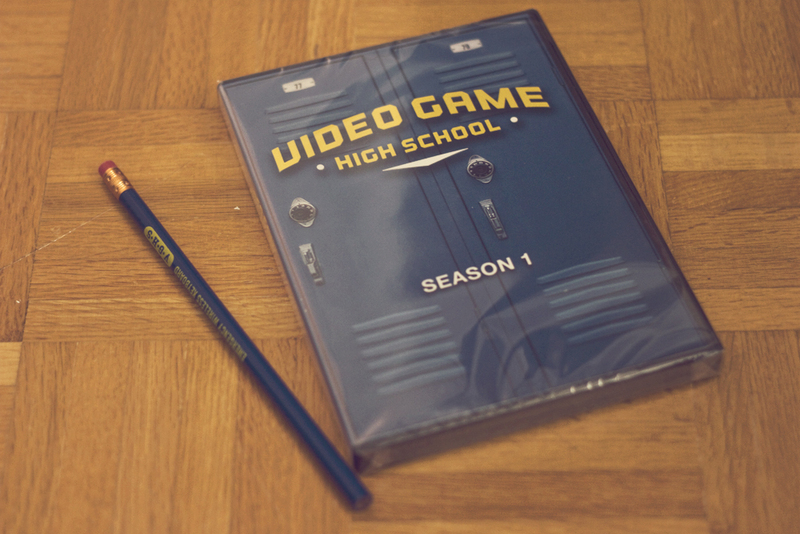 Therefore, it was quite appropriate to include the 2 disc DVD of Season 1 and a pencil for back to school sake. 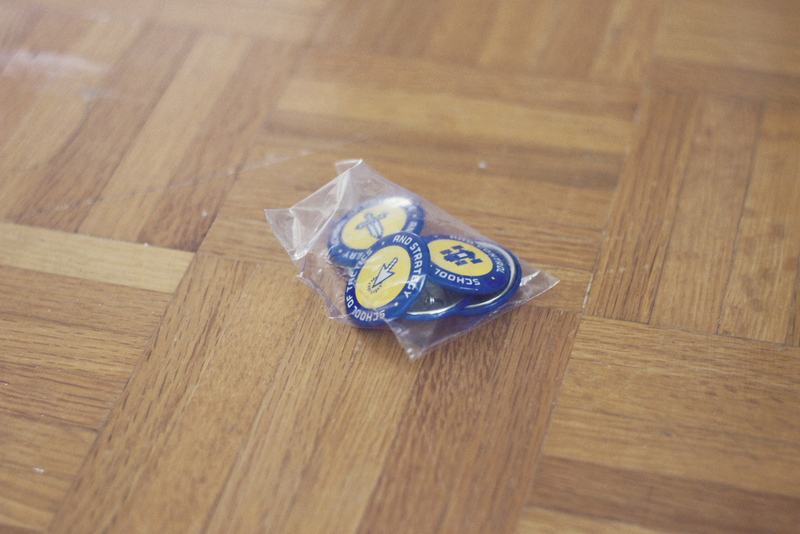 There was also this VGHS button set. 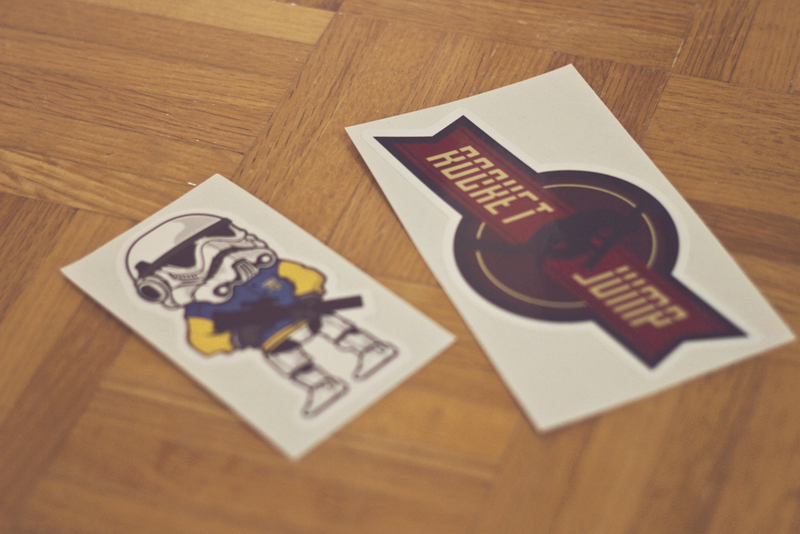 The stickers this month included a storm trooper + VGHS mashup and the Rocket Jump logo. I totally forgot PEZ existed. What a blast from the past! 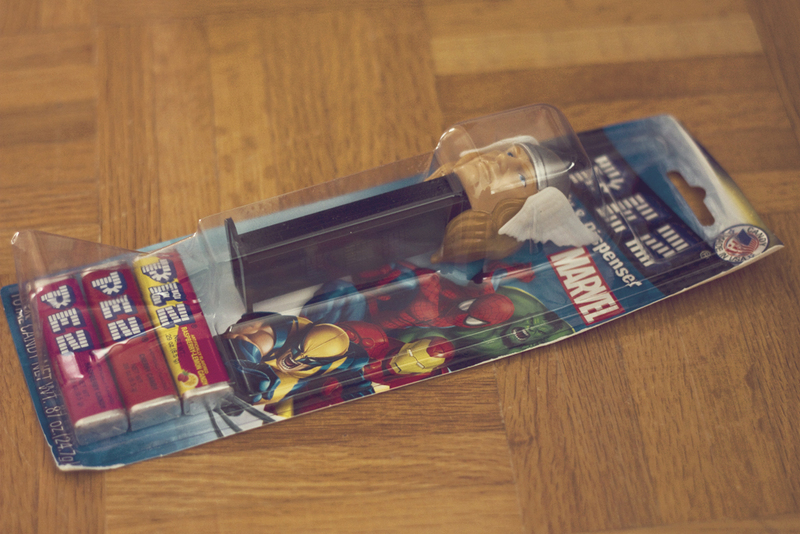 Loot Crate randomized the MARVEL edition of the PEZ dispensers. I got Thor. Anybody want to trade for Wolverine? 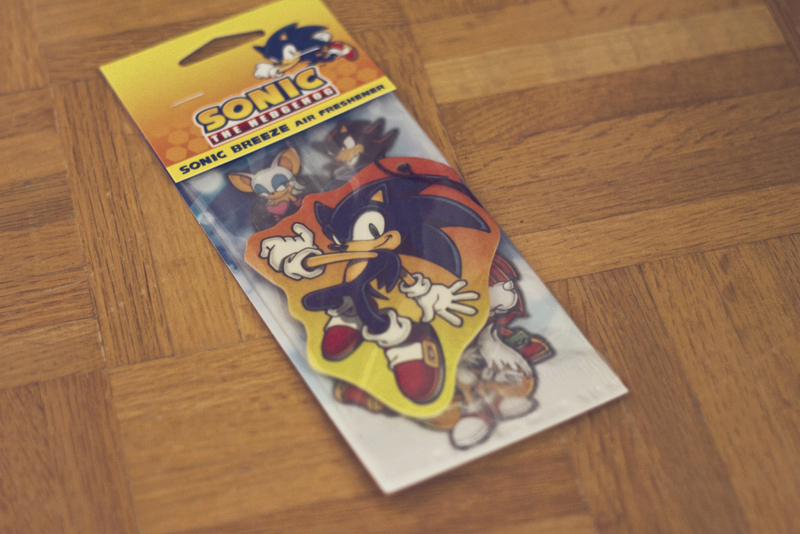 Lastly there was this Sonic air freshener with a smell appropriately labelled “Sonic Breeze”.